The NEW Haunted House: Monster Party comes to the LEGOLAND® Windsor Resort! Experience Lord Vampyre's magical party trick — bringing the banqueting hall swinging into life and turning the room upside down! Join Lord Vampyre in the celebration of his arrival in the LEGOLAND® neighbourhood! Party guests are greeted by joke–telling gargoyles before Lord Vampyre shows his magical party trick — bringing the banqueting hall swinging into life and turning the room upside down! Enjoy a stay in the fully-themed LEGOLAND Resort Hotel or LEGOLAND Castle Hotel and with every short break you'll receive Early Ride Time, fantastic evening entertainment and 2nd Day FREE tickets into the Park! Enjoy a stay in the fully-themed LEGOLAND Resort Hotel or LEGOLAND Castle Hotel and with every short break you'll receive Early Ride Time, fantastic evening entertainment and 2nd Day FREE tickets into the Park! Build family memories this May half term with a LEGOLAND® Holiday. Stay overnight and explore the fantastic Resort hotels or one of our family–friendly partner hotels for an awesome getaway! Build family memories this May half term with a LEGOLAND® Holiday. Stay overnight and explore the fantastic Resort hotels, packed with interactive features and fun–filled entertainment. Or stay in one of our family–friendly partner hotels for an awesome getaway! Stay between 25th May—2nd June for an awesome family holiday! Save up to 20% on short breaks in 2019! Stay from just £46 per person at the LEGOLAND® Resort Hotel or £58 per person the LEGOLAND Castle Hotel! Save up to 20% on short breaks in 2019! Stay from just £46 per person at the LEGOLAND® Resort Hotel or £58 per person the LEGOLAND Castle Hotel! Make the most of your Annual Pass today! Say yes to extra family time! Choose from over 32 highly recommended partner hotels conveniently located near the LEGOLAND Windsor Resort. Plus your 2nd Day FREE Park entry gives you twice the fun to enjoy! Say yes to extra family time! Choose from over 32 highly recommended partner hotels conveniently located near the LEGOLAND Windsor Resort. Plus your 2nd Day FREE Park entry gives you twice the fun to enjoy! Get your 2nd Day FREE in the Theme Park when you book a LEGOLAND® Holiday. 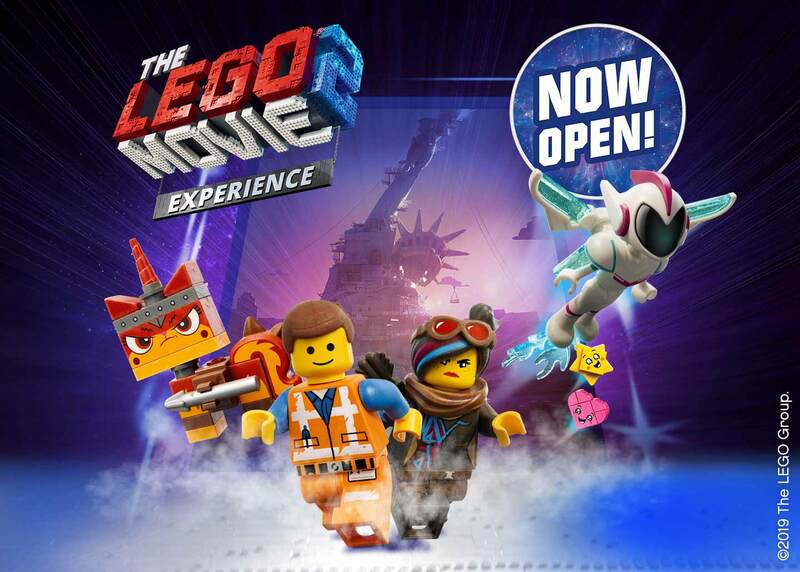 Enjoy your 2nd Day FREE with every LEGOLAND® Holiday! That means you and your family have twice the time to enjoy everything that the LEGOLAND Windsor Resort has to offer! Book today and build awesome memories with us! Minifigure, DUPLO, NEXO KNIGHTS are trademarks of the LEGO Group. ©2019 The LEGO Group. All rights reserved. LEGO, the LEGO logo, the Minifigure and the Brick and Knob configurations are trademarks and/or copyrights of the LEGO Group. © 2019 The LEGO Group. All Rights Reserved.